With automatic self-leveling capability, Leica Rugby 410DG Dual Grade Laser is ideal for land leveling, tiling, leveling, slope measuring and other construction applications. 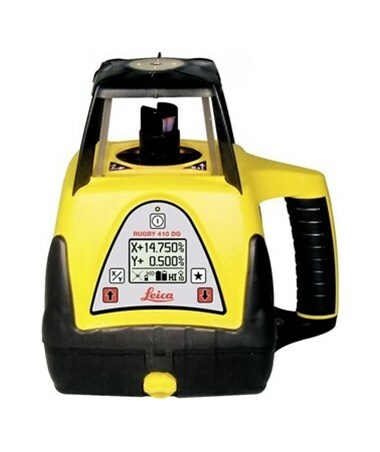 Self-leveling within ±5 degrees, it comes with an operating range of up to 2,600 feet with a laser receiver. Also, it offers an accuracy of ±1/16 inch at 100 feet and has a grade capability of -5% to +15% in both axes simultaneously. 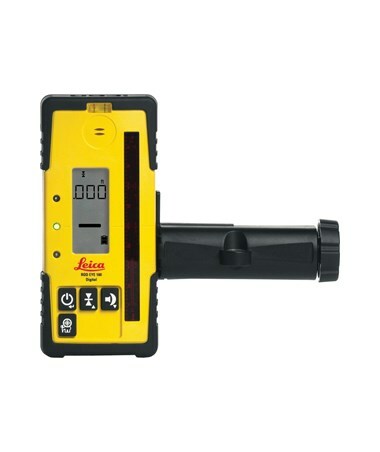 To increase grade accuracy, this dual grade laser includes an axis alignment. Also, it features a high-speed variable rotation of 5, 10, 15, 20 rotations per second. It comes with an elevation alert that monitors the height to prevent elevation errors. Plus, this laser level has a direct grade entry for ease of use. 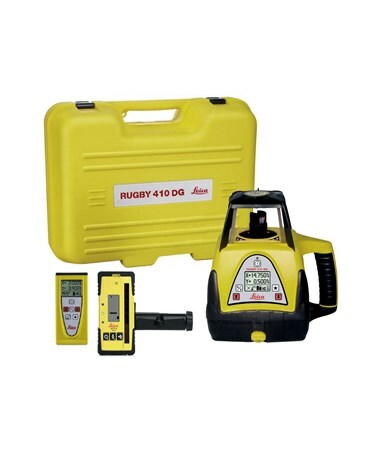 With an IPX7 rating, the Rugby 410DG laser is water resistant. 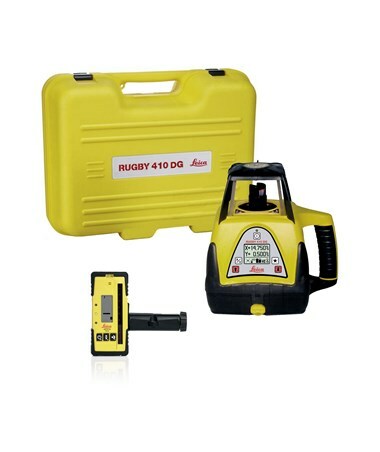 It uses alkaline batteries that power the device up to 130 hours and up to 100 hours with rechargeable NiMH batteries. 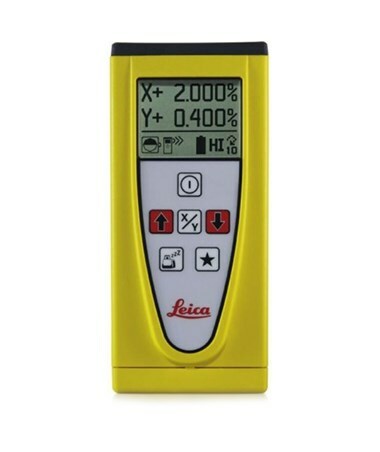 Also, it comes with a simple, five button operation and a backlit LCD display for easy reading. 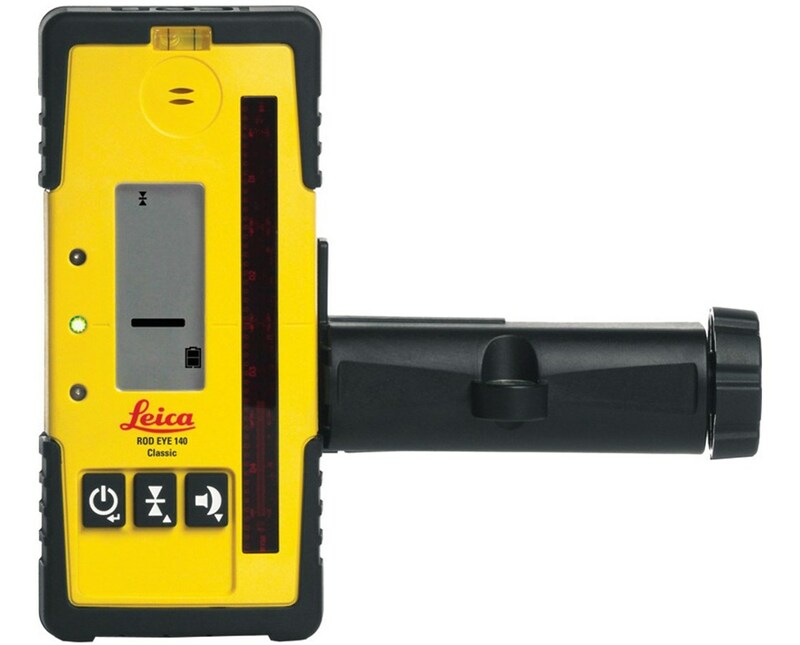 In addition, this dual grade laser uses a Class 1, 780-nanometer invisible red laser for a visible grading and leveling experience. 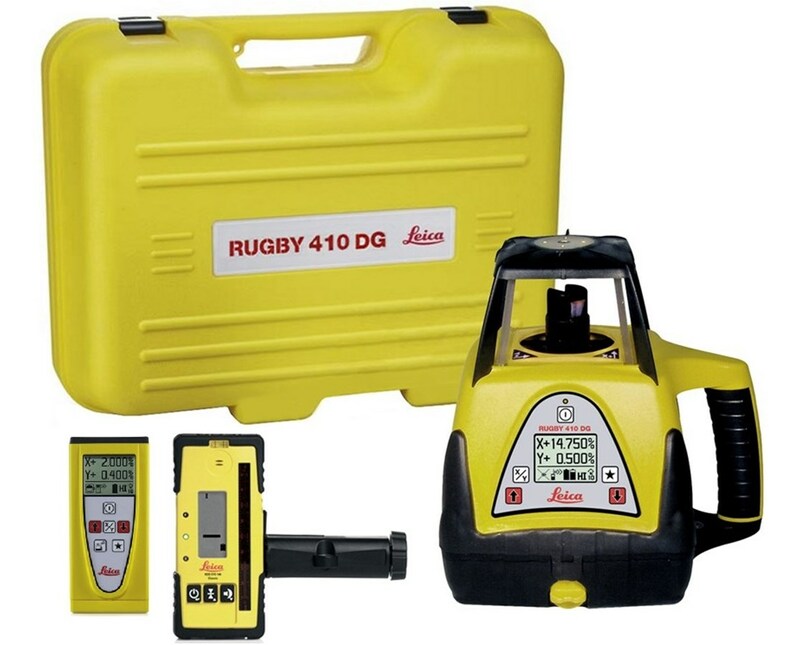 The Leica Rugby 410DG Dual Grade Laser offers four packages with different laser receiver and remote control option. Please choose from the drop-down menu above.